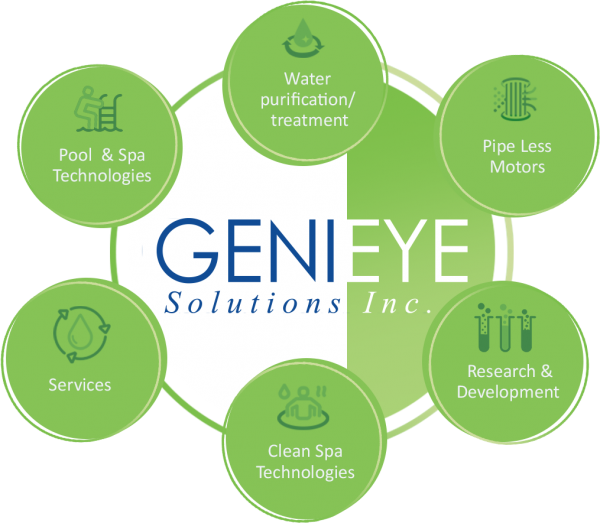 GENIEYE SOLUTIONS INC. (Genieye) is an innovative Canadian Corporation specializing in the fields of Water Purification, Pipe-Less Jet Motor Technology, Electro-Magnetic Pulsation and Energy Conservation, and clean spa technology. Genieye, designs, develops and manufactures water purification systems, Clean Spa products including patented Genijet™ which is unique in the industry. © 2018 GENIEYE TECHNOLOGIES INC. All Rights Reserved.